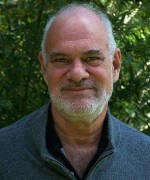 The practice of medicine is changing before our very eyes and that is good news for our children and us. 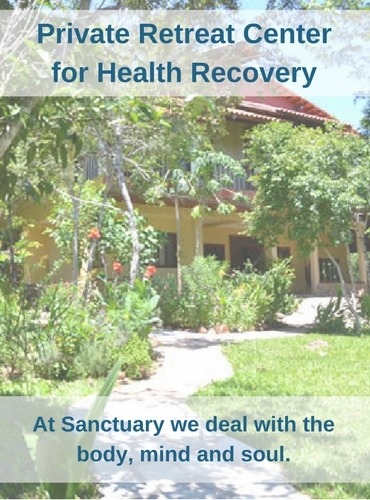 No longer are we so dependent on pharmaceutical medicine because our best medical scientists have realized that toxic pharmaceutical drugs are not the best way to help people in deep distress with chronic diseases. Oxygen has always been the most prescribed nutritional drug in hospitals but now molecular hydrogen is arising to give it a run for its money in terms of effectiveness to turn medical situations around. Moreover, through the Bohr Effect medical scientists have known for a century how important and useful carbon dioxide (CO2) is as a medicine. Medical gases trigger naturally occurring physiological responses, enhancing the human body’s preventive and self-healing capabilities. Medical gases include carbon dioxide, oxygen, nitrogen, nitrogen oxide and most recently hydrogen. Medical gases can be use on their own or in combination for therapeutic effect or as an insufflation during surgery. Nitric oxide is a gas that is inhaled. It works by relaxing smooth muscle to widen (dilate) blood vessels, especially in the lungs. Nitric oxide is used together with a mechanical ventilator to treat respiratory failure in premature infants. Increased levels of CO2 also dilate blood vessels while positively affected oxygen disassociation. Molecular hydrogen (H2) has been accepted to be an inert and nonfunctional gas in our body but this is not correct since H2 reacts with strong oxidants such as hydroxyl radicals in cells and exhibits other extensive effects. Pediatric and neonatal patients have an assortment of physiologic conditions that may require adjunctive inhaled gases to treat the wide variety of diseases. 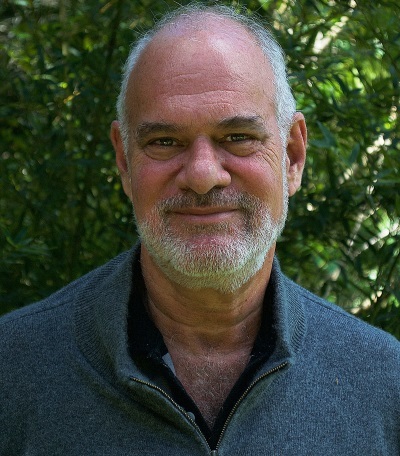 Inhaled nitric oxide, helium oxygen mixtures, inhaled anesthetics, hypercarbic mixtures, hypoxic mixtures, inhaled carbon monoxide, and hydrogen sulfide have been used to alter physiology in an attempt to improve patient outcomes. Though there are many ways to use oxygen as a medicine, one must remember that oxygen is highly toxic without carbon dioxide to mediate its harsh effects and that carbon dioxide can be used on its own as a medical gas to great effect. In addition we now have hydrogen as another gas that diminishes the toxicity of oxygen by turning the most dangerous free radicals into water. Therefore, we have three important gasses in medicine that we can easily use at home or find used in clinics and hospitals if you are lucky enough to live near one that understands and uses these gases to their full potential. If one gets enough oxygen, hydrogen and carbon dioxide (in the form of bicarbonate) one can heal from just about anything. This video above is about AirJector, which is the first patented, noninvasive, handheld transdermal medical gas applicator and therapeutic wound and cardiovascular treatment system using CO2 as a medicine. The use of medical gasses like carbon dioxide surprises everyone because corrupt governments and politicians are trying their best to make CO2 into something evil. Nothing could be further from the truth. CO2 as a gas is used for noninvasive surgery, to inflate and stabilize body cavities for increased visibility and to increase blood flow to the brain; to remedy bronchial spasms and to stimulate respiration. Below is a testimony from a woman who is using a breathing device to slow her breathing down, which increases CO2 levels and O2 levels, as well as massive amounts of hydrogen gas and water. I believe she would have died without the use of these medical gases. I had a mastectomy back in 2010 at UC Davis Hospital, as I was diagnosed with DCIS on the left breast. They told me it would never ever come back! Surprise! It came back not only across the left breast but into the chest wall as well. I did all the chemo and the 33 rads suggested as treatment. 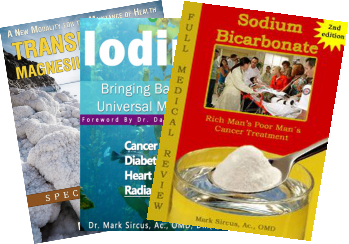 When I read Dr. Sircus’ book, Sodium Bicarbonate Rich Man’s Poor Man’s Cancer Treatment, I immediately did more research on him and started using his full protocol. At the time I was walking, swimming, cooking, and doing everything a normal mother does. However, a very short time after being on the protocol I spoke with Dr. Sircus because I could not keep food or water down and I began walking like a crab. After a few visits to the ER, I found out I had a tumor on the cerebellum that was blocking fluid from draining down the spinal cord. I urgently skyped Dr. Sircus and informed him of the dire situation. He was very concerned about what was happening and quickly changed the protocol to help me be able to recover from this new development. Due to my critical condition, Dr. Sircus added hydrogen tablets along with a hydrogen inhaler. Every so slowly, I stopped vomiting, my walking began to stabilize, I gained weight, and I even began to feel normal. 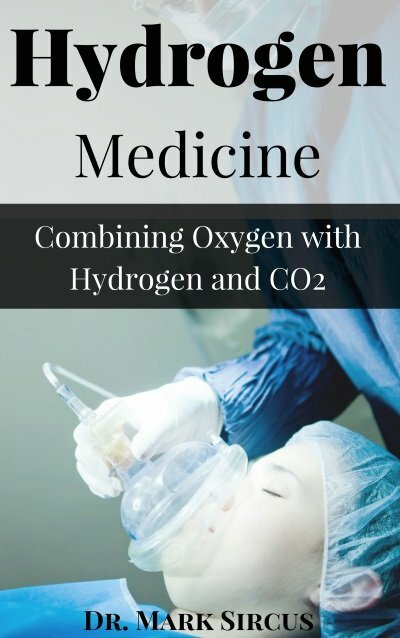 Hydrogen gas and water are new developments in medicine and now we have an advance in Anti-Inflammatory Oxygen Therapy (EWOT) with the introduction of a new oxygen mask and Live O2 type system called Max O2. Live O2 users will be interested in buying the mask separately. 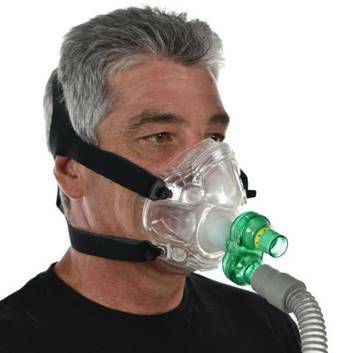 The new mask makes breathing in massive amounts of oxygen easier. 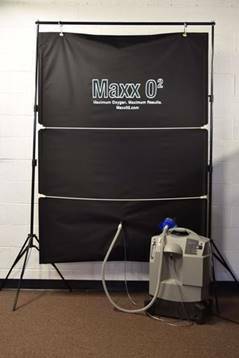 The Max O2 system offers not only the highest quality oxygen reservoir, but also a patented rib cage that puts pressure on the bag to force the air out and into this mask for a remarkable increase in oxygen flow and ease of use. Also the reservoir bag does not leak like a sieve. We have created the best oxygen bag in the industry. Its commercial grade with positive pressure, but that was not good enough. Our bag and mask had to be the best. The traditional blue mask has been used by our competitors and us. The problem with this mask is the valves are hard to open as you breathe in and exhale. In addition, they are “one size fits all.” Maxx 02 includes an industry first unrestricted high-flow Easy Breathe™ system. The flow opening for oxygen is twice the size of the leading mask. It feels like you are breathing without a mask and it is available in three sizes for superior fit. In fact, we include the older style mask at no charge so you can see the difference yourself. It is easy to tell you it is better, but we went one-step further by letting you try for yourself. 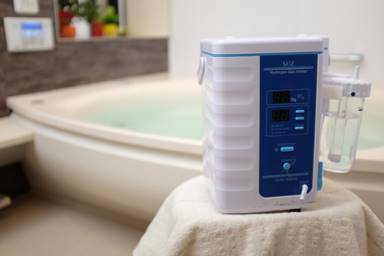 The therapy is called EWOT (Exercise with Oxygen Therapy) or originally Oxygen Multi Step Therapy, which was dramatically improved with the invention and use of the air reservoir bag. In fifteen minutes, one can blow the cell’s doors open allowing them to detoxify as they gulp down the oxygen. 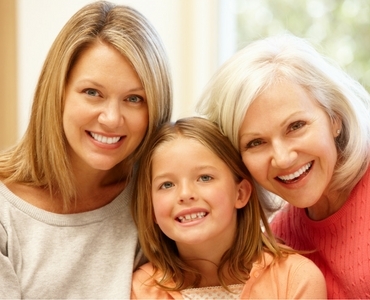 The breakthrough is that it actually returns vascular age back to youthful levels. One of the reasons exercise is so healthy and important for cancer patients is that it creates massive amounts of CO2. Exercise is good medicine. Several studies have found that physical activity can lower a woman’s risk for breast cancer, and some studies found that the most active women have about a 25% lower chance of developing the disease than the least active women. “Exercise is one of the best things women can do for themselves,” says Dr. Ann Partridge, director of the Program for Young Women with Breast Cancer at Dana-Farber Cancer Institute. Anti-Inflammatory Oxygen Therapy consists of two distinct therapies—exercise and oxygen that are brought together for maximum effect. Breathing in concentrated oxygen while exercising makes the exercising easier and that is good news for patients suffering from long-term chronic disease. 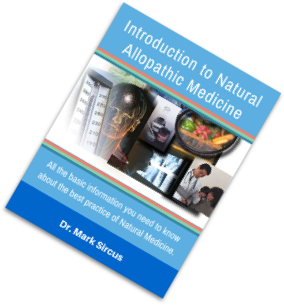 By improving delivery of the most important substances for tissue life and repair, the body will have a much better opportunity to correct any problem. Using medical gasses is the most dramatic single thing you can do to prevent disease and restore health. Now we have the tools to turn back the aging clock in our circulation to youthful parameters. The therapies described above offer unheard of medical power to reach directly into the cells with life force that comes from a walls of oxygen, hydrogen and CO2 descending on the capillaries. Starting with cancerous cells these medical gases will carpet-bomb them out of existence. Using medical gases is the most straightforward way of treating inflammation. Using medical gases is like putting out a candle flame with your fingers. Inflammation in the capillaries will begin to diminish as Oxygen, Hydrogen and CO2 rush into the cells bringing the energy and the physiological processes necessary to heal. What we have only recently learned is that there is more to breathe than just oxygen. Medical gases are different from pharmaceutical medicines. They are natural and do their good work though the fulfillment of nutritional laws. “At the end of the 19th century, scientists Bohr and Verigo discovered what seemed a strange law: A decreased level of carbon dioxide in the blood leads to decreased oxygen supply to the cells in the body, including the brain, heart, kidneys, etc. Carbon dioxide (CO2) was found to be responsible for the bond between oxygen and haemoglobin.” – Dr. Alina Vasiljeva and Dr. David Nias. The Bohr Effect was first introduced, describing the oxygen-binding affinity of the hemoglobin as inversely proportional to pH and the concentration of carbon dioxide. In practice, this means that if the carbon dioxide concentration increases somewhere in the body, the hemoglobin molecule will bind to oxygen with lower affinity; therefore, a larger amount of oxygen is released to the area concerned.